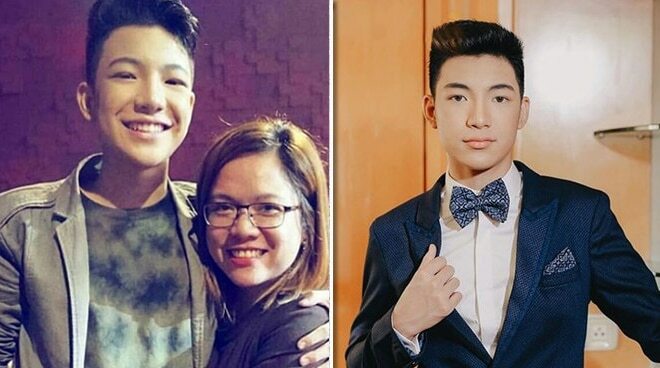 Darren Espanto’s former manager was found dead in her home in Pampanga. Darren Espanto took to Instagram to express his grief after finding out that his former road manager passed away on April 8. Darren also said that his “Ate Karen” will always be a part of his family. I still couldn’t believe the news of your passing, ate Karen. Nanginginig ako hanggang ngayon kasi di ako makapaniwala sa nabalitaan ko. Actually, ayaw ko maniwala sa totoo lang. Sobra kasing masakit. Napakabuti mong tao. You were more than a road manager to me. Inalagaan mo ako at itinuring na parang kapamilya mo at ganoon ka rin sa amin. You are family to us... You will forever be my “Ate Karen”. I will keep all the memories that we had through the good times and the bad and I will always remember the things you’ve taught me in the past. I love you so much and I’ll keep you close to me heart always. According to a report by ABS-CBN News, Carmencita Pelayo-Hernandez and her friend Karwin Guevarra were found dead in her hometown of Pampanga. The pair were supposed to withdraw some money and meet their friend “Regine” who is now considered as a suspect in the double murders. “May kukunin silang pera. Bali yung bank account nung dalawa doon, ipapasok yung pera, ‘yun yung sinabi ng asawa ko,” Karen’s husband Mark John said. Karen and Karwin’s dead bodies were found in the former’s home in Mabalacat, Pampanga while their friend “Regine” managed to survive. Their bodies had several stab wounds and their heads bore signs of trauma. Police Staff Sergeant Roldan Tababa said Regine’s story is not consistent. Karen’s father Leonardo Sr. said that they have been friends for a long time but Regine owes Karen and Karwin some money. Authorities are considering this as a probable reason why she had to murder the two.